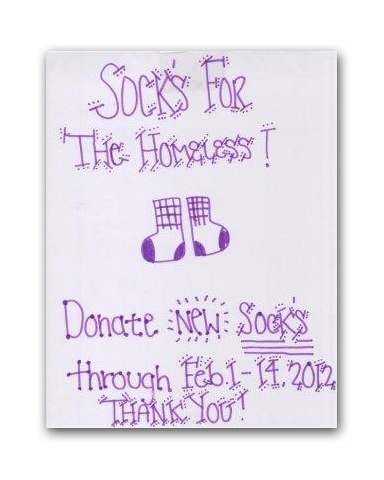 During the days of February 1st through February 14th, the eighth grade “Big Picture” program will partner with the non-profit organization Comfort Socks to have a new sock drive to support the homeless within our region. Students from the Big Picture class will be promoting this cause by sharing information to all students and staff at Charter Day School. Each classroom in the school (K-8) will have a collection bin to collect new pairs of socks. Comfort Socks will provide the socks directly to nonprofit agencies that serve the homeless population. We hope that you will participate by donating at least one new pair of socks (adult and child sizes) by February 14th.